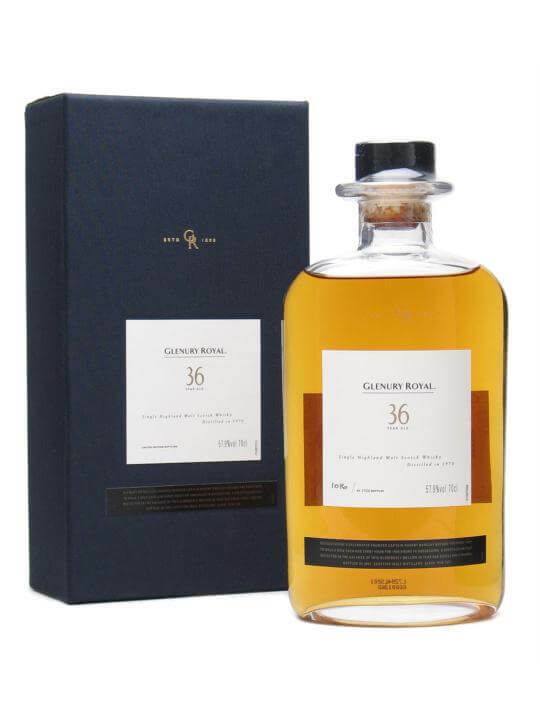 Glenury Royal, a distillery born in 1825, silenced in 1983, and closed in 1985, appeared as a part of these Special Releases in 2003 with a Glenury Royal 50 year old expression, the oldest whisky in that year's releases and a bottling impossible to repeat. The 2007 Special Release Portfolio also included a Glenury Royal as the oldest whisky in the annual range, and this is it. Tasting notes by TF today. Thanks, mate. I will try to decipher some of his usual Briticisms for the sake of international understanding. And humour. Perfumed and floral (roses), hint of Chinese balloons (haven't a clue- ed.) initially. Then pear esters, fresh ginger and a hint of clove. Freshly bitten red apple, then baked apple and a hint of overcooked pie crust (getting a bit Jilly Goolden here, for which apologies). Some nice sweet notes. Very promising. Carries on the good work of the nose. Medium-to-full weight, plenty of ripe fruit notes, pressed flowers, honey and cake spices, lovely oily mouth-coating texture. Great weight and balance - the oak is a positive presence, but not an intrusive one. This balance allows all the nuances of flavour an equal opportunity to come forward. Somehow the alcohol is not over-powering tasted neat. Long finish that drifts away very slowly with a lovely dance of spices and polished wood. Basically this is a great malt whisky. Pricey, yes: but, given the rarity of releases from this distillery, the quality of the malt and the prevailing collector's enthusiasm for the brand (I don't like that word, but we all have to live with 'em), you'd have to say fair enough. * Royal Lochnagar and Royal Brackla.